Wawa continues to expand to other parts of the country, with three new stores recently opening on April 23 in Fort Myers, Florida. As the convenience store chain spreads, so will all of the things Philadelphians love about it, including the infamous hoagie. The term "hoagie," however, is not as well known around the country as it is here in Philly. The term "sub" is the most popular among people in Florida, according to the Harvard Dialect Survey. 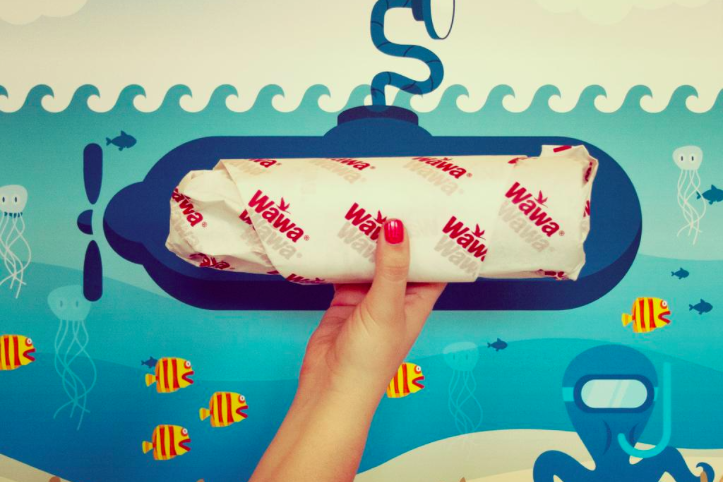 But that doesn't stop Wawa from using the word "hoagie." "We try to be as descriptive as possible both in-store and in our advertising, incorporating photographs of our food whenever possible," Wawa spokeswoman Lori Bruce told PhillyMag. "Even if a customer hasn’t totally bought into using the term ‘hoagie,’ they completely understand the product through visuals." The company also distributes a "What the Heck's a Hoagie?" fact sheet to journalists. Wawa, which currently has 65 stores in the Sunshine State, plans to have 100 locations by the end of 2016.